The DJ formerly known as Mick Boogie is so much more than that. MICK is also a style curator, angel investor and, most importantly, a dad. Lucinda and Rashaun discuss music, mixtape inequalities, investing in your passions, how to properly party and more with the Ohio native. This is a very special episode. Bernadette is a consultant, film director and producer… and Lucinda’s big sister! After more than 20 years in the financial services, Bernadette -- a self-proclaimed “driven perfectionist” -- turned a career crisis into a new life as a filmmaker. She tells us about growing up with Lucinda, Stevie Wonder and her documentary, Berni’s Journey. Joe Riggs was literally born to be in the whiskey business. A Kentucky native whose grandfather was a “craft distiller” of sorts, Joe got his first taste of bartending by memorizing his mom's recipes. He too bartended and competed in cocktail competitions before returning to his roots as brand ambassador for Redemption Rye Whiskey. Joe talks to Rashaun about the current rye rage, his love of music and the redeeming qualities of rye as they taste some of the brand’s signature expressions. Bridget Firtle went from business school--she has an MBA--to the booze biz. As Founder and Master Distiller at Owney's Rum, she's all about the hustle. Lucinda talks to Bridget about what it took to open a rum distillery in Brooklyn, being a female master distiller and how she landed on the name Owney's in this episode. Chef Danny Mena believes what you cook and drink not only says a lot about where you’re from, but also, what you stand for. The owner of Hecho en Dumbo explains to Rashaun and Lucinda why he opened La Loncheria in Brooklyn, the evolution of Mexican food and how he began working with Border Angels, a nonprofit that advocates for human rights, humane immigration reform, and social justice with a special focus on issues related to issues related to the US-Mexican border. Celine Bossart is a spirits writer and social media influencer. Lucinda and Rashaun ask her about how she uses her platform to address inequalities in the spirits industry, female empowerment and her latest venture, THE STAYCATIONERS. John Seymour literally grew up behind a bar. He tells Rashaun and Lucinda how that upbringing led to him opening the Sweet Chick restaurant chain, partnering with Nas, getting sober in his 20s and following in his father’s footsteps—even if that wasn’t his intention. Von Diaz uses food to tell stories and share memories -- much in the same way that a great bartender does with their cocktails. The Puerto Rican-born, Southern-raised author and radio producer talks to Rashaun about of her homeland, grandmother, the iconic Puerto Rican cookbook Cocina Criolla, and how they all inspired her Coconuts & Collards: Recipes and Stories from Puerto Rico to the Deep South. Media executive and author OJ Lima (Vibe, VH1) has always had a taste for the finer things in life, but it was at Complex that he developed his love of bourbon. He talks to Rashaun and Lucinda about secret societies, working with the genius that is Pharrell and the challenges of bourbon hunting. Tim Cooper has worked at a lot of bars. From the SoHo Grand to The Flatiron Lounge, the veteran barman was there for the birth of the bottle service, has served cocktails to people in bed and worked with Dale DeGroff. Crazy thing is… he doesn’t look a day over 30. This episode is just a "taste" of what you can expect from us! 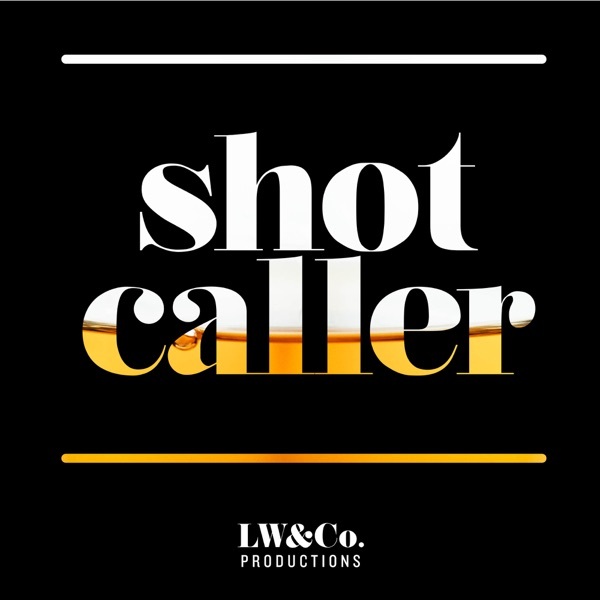 Follow us at @ShotCallerPod on Facebook, Instagram and Twitter to learn more.